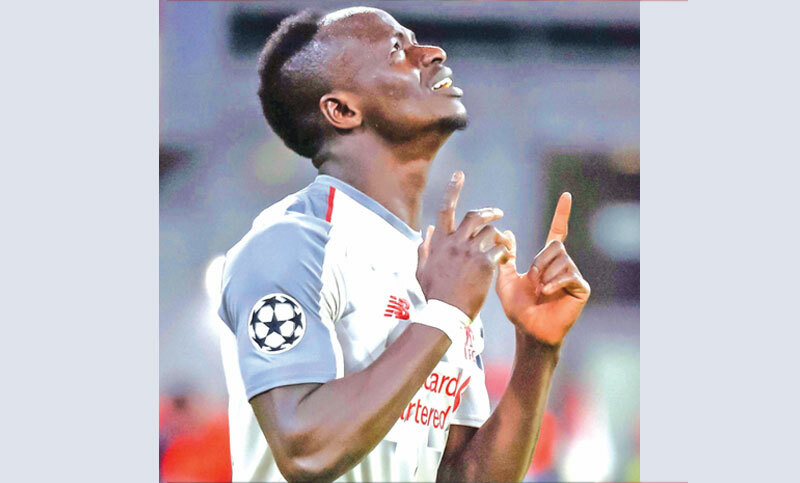 Sadio Mane scored twice to steer Liverpool into the Champions League quarter-finals on Wednesday after a 3-1 win at Bayern Munich dumped out the German champions. Having missed the goalless first leg at Anfield three weeks ago through suspension, Virgil van Dijk’s long pass led to Mane’s superb first-half goal at the Allianz Arena. Dutch centre-back Van Dijk then headed Liverpool into a 2-1 lead from a James Milner corner on 69 minutes after Joel Matip’s own goal had handed Bayern a first-half equaliser. Mane made absolutely sure of Liverpool’s place in the quarter-final draw by nodded in six minutes from time. Liverpool’s 3-1 aggregate victory means they join Premier League rivals Tottenham Hotspur, Manchester City and Manchester United in the quarter-finals, completing a clean sweep of English sides reaching the last eight for the first time since 2008/09. It is a bleaker picture in Germany as Bayern’s exit leaves no Bundesliga club in the quarters for the first time since 2005/06, as Borussia Dortmund and Schalke also bowed out in the last 16 — to Tottenham and Man City respectively. Klopp had urged his side to “be brave on the ball” and it was that, combined with an amazing piece of skill by Mane, which gave them the lead.